Well do I remember that day in the early fall when our middle school-aged son came home and uttered those words that every parent has come to dread: “We have to do a science project”. I have memories of working on my own science projects in elementary and middle school, of course. I seem to recall having to pick a topic, and then having several weeks’ worth of time to get the project completed. Managing the timing, the budget, the write-up, the tri-fold display… it was all up to us. And as we all know, some people are better at managing time than others. Many kids left working on their science projects to the very last minute! 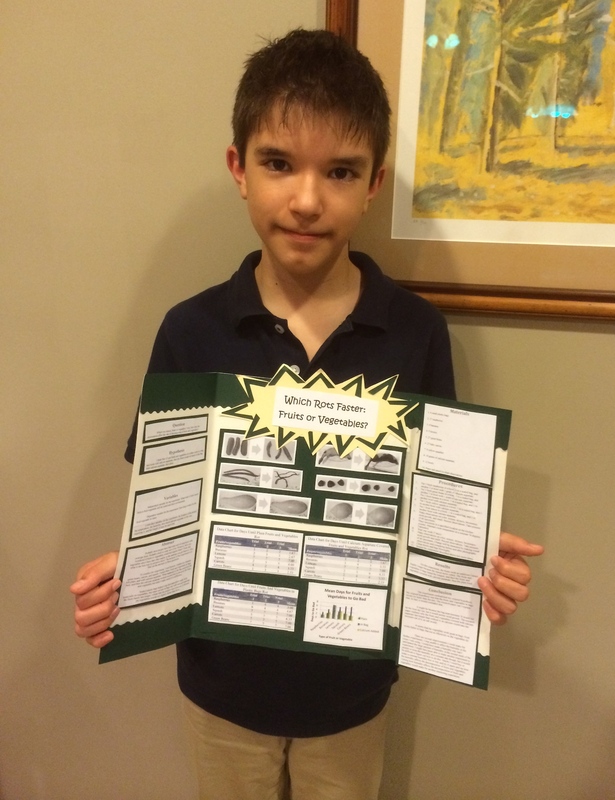 This past fall with our son’s science project, however, I was pleasantly surprised. Our son’s science teacher (who is in many ways an excellent teacher) had laid out a manageable schedule for her students to follow to achieve science project success. Each student was given a set amount of time to complete a series of tasks on the way to the completion of each science project. Having managed Information Technology (IT) projects professionally for many years, this made a lot of sense to me. And it made me wonder why I hadn’t thought of doing it this way before? A science project is of course a project: a series of tasks on the way to completion. It should be managed as such. And by doing so, you are teaching kids not only about science projects, but about how proper projects of all sorts should be managed! I’ll discuss the steps my son and his classmates took in my next post. But first, I would like to share another great idea that was used for our son’s school’s middle school science project – the prototype display. One thing that our son’s school did that impressed me was assign each student the task of creating a prototype for his or her science project. This prototype is much like a mock-up that might be made when working on a project at a computer software or Information Technology company – something that I am quite familiar with! Note that in order to start with a prototype, you still have to complete the actual science experiment – the prototype is the science project in its entirety, except it is displayed in miniature. 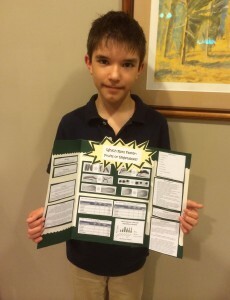 Our son created a prototype version of his science project (which he is holding in the picture – not something you could easily do with a tri-fold display). It is a smaller version of what a large tri-fold or bristol board display would look like were he to create the actual science project. In this manner, the five best science projects in the classroom were selected to go forward to the next step – creating the large displays that would be then judged during the school-wide science fair. These students were then instructed to create the actually large display that would enter the judging. These students were also given bonus marks in science class (as they would be doing extra work that the other students in the class wouldn’t be doing). In my next post, I discuss the steps involved with the completion of a successful science project!